How to get landlord insurance quotes ? Insurance requirements for landlords. Regardless of what you’ve seen on Hgtv, becoming a landlord isn’t always a pleasant situation. Being a landlord can be a lucrative side gig, but with it comes added responsibility and risks standard homeowners insurance may not cover. Am I really a landlord ? What makes you a landlord ? What if you’re just renting out a room or half of your unfinished basement (you know, where the drywall is still bare and the plumbing is still exposed ?) Is it just if you accept compensation ? According to Ryan Young, an attorney in Fairfax, Va., who specializes in real estate and property law, money isn’t always the determining factor. “It often doesn’t matter that no money was exchanged. This is true in many states from a public policy standpoint”, explained Young. State laws vary, but Virginia law defines “tenant” in a fairly general way : “a person entitled only under the terms of a rental agreement to occupy a dwelling unit to the exclusion of others and shall include roomer. Tenant shall not include (i) an authorized occupant, (ii) a guest or invitee, or (iii) any person who guarantees or cosigns the payment of the financial obligations of a rental agreement but has no right to occupy a dwelling unit”. – if you live in a house and rent out the bedroom (the other person may be considered a licensee, which is different than a tenant). Landlords face certain risks average homeowners don’t have to worry about. Landlords have certain legal requirements and responsibilities, such as providing tenants with contracts and carrying out certain repairs, including damages caused by tenants. Equally as “damaging” though are damages not caused by tenants, like from weather. Standard homeowners insurance will cover the property from circumstances normally included on homeowners insurance, like fire and lightning. If you plan on renting a property out for an extended period of time, your homeowner’s insurance will not provide the protection you need. On the other hand, if you rent your house for a week out of the year, your homeowner’s policy might work. Care to toss the coin ? The biggest risk landlords face though is liability. Have you heard the horror stories about a mailman suing after being bitten by a dog, the pizza delivery guy tripping on a crack in a sidewalk, or friends (yes, your friends can sue you) for accidentally slicing a finger while helping prepare dinner ? That’s just what the average property owner / homeowner faces liability wise. As a landlord, you can be held liable for much more. When the roof you own collapses on a tenant’s head, who do you think the tenant sues ? The result is beyond property damage, add in legal fees and emotional damages, and you’re looking at a situation infinitely worse than Jim Carrey’s cable guy. Liability landlord insurance coverage is crucial, set coverage limits as high as possible. Some insurers will also provide legal counsel and court fees with liability coverage. Here are a few other things to consider. Are you responsible for appliances or do you plan on furnishing part or the entire unit ? If so, you need coverage specifically for those items. It’s not included in standard fire policies. Figure out how much it would be to replace all those items at once, that’s the minimum amount you should carry for personal property coverage. If you own any personal property in the rental property, consider adding additional coverage to protect it against damage. Make sure your tenants know whether your insurance will cover their personal belongings. Additionally, encourage them to purchase rental insurance. It’s not against the law to ask them to carry it. Do you want protection on rental income ? If a fire occurs or storm damage makes the home unlivable for tenants, they’re going to seek alternate housing. Until they come back or the house is available for new tenants, you’re obviously going to lose income during that time. Your rental property insurance policy can cover fair rental value in the event of a loss. Calculate how much you’d receive in rental income annually, and insure for that amount. This is vital if your budget is paycheck to paycheck. Having a mortgage to pay without the rental income to support it may cause you to lose your property. Do you want the home rebuilt or fully repaired for a loss or do you just want some cash value ? Unless you have full replacement cost, you’ll only get the amount of money it would cost to fix the repairs needed to bring it to the level it was prior to the loss with depreciation figured in. This could put you on the hook for much greater out of pocket expenses to have it fixed right. Full replacement cost will cost more, but it won’t be as expensive as the out of pocket expenses you may have without it. What it will cost you the landlord rental insurance ? As with other policies, cost varies. Factors include home value and how well a property is maintained. It’s wise to get a professional estimate, and always inform your insurer of any improvements and upgrades that can affect your rental property insurance quotes. Coverage is going to be one of the main determining factors in your insurance for rental property premium. You can choose actual cash value, but ideally you should go with replacement value. 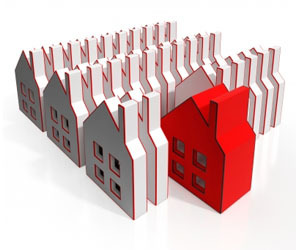 If you own multiple properties, you may need to buy additional policies or multi property insurance to cover them. There are pros and cons to being a landlord and you have to decide whether the investment is worth it. With the right tenants and property, being a landlord can be a great endeavor. At the same time, it can lead to disaster. The simple solution that may save you ? Buy the right coverage and draw up an agreement. “It’s better to use caution at the outset”, said Young. “You simply do not want to enter the grey area of having to argue that your house guest is not a tenant”.